Our website has received over 8,000 visits a month and the rate is increasing allowing you more visibility. 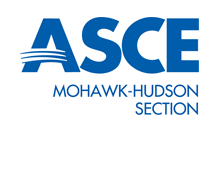 Your sponsorship serves to advance the goals of the American Society of Civil Engineers and help fund future engineers through a scholarship program. Also sponsorship funds allow the Section to offer award gifts for such events as the future city competition. Awards and gifts encourage the next generation of engineers to pursue their dreams. For an electronic ad with a hyperlink posted on this page, the cost is $250.00 per year. For more information about sponsorship or to post your ad please email our Treasurer. Sponsors, if you are a sponsor please check your ad and link. If you would like your ad update please email our Treasurer with the changes.